Based on the popular book, Total Control by acclaimed Motorcycle Consumer News editor Lee Parks. This outstanding clinic focusses on key concepts to make you a master of cornering and gain maximum traction control with your motorcycle. This is a must do clinic for sport, touring and cruiser riders who are ready to overcome fear and shift up to a new level of riding proficiency. No more dropped bikes! Don't let low speed parking lot maneuvers get you down. Learn the secrets of the pros for tight turns and develop the precision to really manage your bike. This precision skills clinic focusses on tight turns from a stop, slow speed u-turns, figure eights, slow racing, and precision stopping. A must-do clinic for riders who want to wow their friends, control their bike at slow speeds and win prizes at the local bike show. Group rides can be the best or the worst depending on the skill of the Road Captains. Don't let your group down. Take the Road Captain Riding Workshop and learn how to manage groups safely, effectively and efficiently. Learn what to look for in the environment, how to keep a group together, how to support varying skill levels and keys to group communication. Road Captain training will help make your group rides the best! 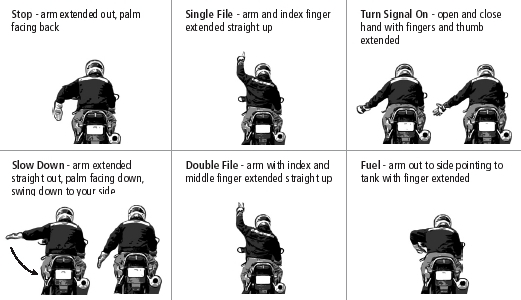 Are you a new rider who needs a little extra practice? Are you thinking about buying your first bike and want some experienced advice? Are you an experienced rider who wants to be even more proficient? Is there a specific skill that you'd like to work on? No matter what your skill level you can benefit from a private consultation. We all need someone to watch us ride and critique bad habits while developing good ones. Find out about scheduling a private consultation today.